RV insurance is a necessity. It not only helps provide comfort in case something happens to your rv or belongings, but it is also the law, like for your car or motorcycle. As we’ve tragically seen recently, natural disasters have destroyed not only homes, but rvs as well. RVs have given us a way to escape, or another material possession to be destroyed. On average, rv insurance can range from several hundred to several thousand dollars per year. It is always best to do your research when selecting an insurance provider, which includes tangible costs such as value, and intangible costs such as customer service and reputation. When it comes to gas, there are two types to know: the fuel that drives the rv (gas or diesel) and propane. If the rv requires propane to power any appliances or hot water, know how much you can get out of a tank and plan accordingly. Fuel prices can also fluctuate widely from month to month and state to state, so know the prices in your final destination as well as pit stops along the way. Always budget in a buffer when planning gas expenses. 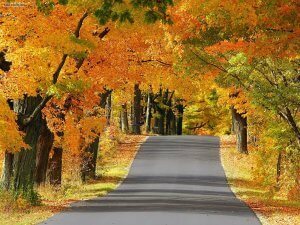 You likely will find sites to visit off your destination routes. Whether the rv you purchase is new or used, there will be maintenance expenses and annual fees. 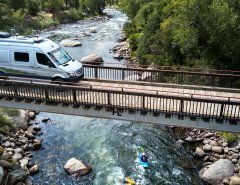 It is always best to have a general idea of what the cost will be ahead of time, as it can vary widely among rv models and from state to state. Maintenance costs and annual fees for an rv may include oil changes, tires, appliance repairs, license costs, registration fees, and more. A moving home. 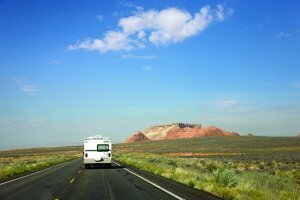 Like any major purchase, there are many costs for having an rv that may be overlooked or not thought of at all, at first. 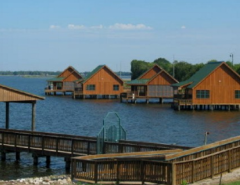 While you won’t have to worry about booking and availability of hotel stays or a rental car, you will have to think about campground fees, food (even with cooking your own meals), entertainment costs, additional heating, possible a/c, backup generators and/or solar panels and more. Planning and having funds for these upfront, will allow for stress-free travels. 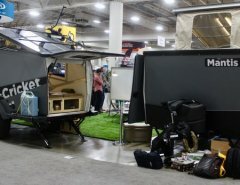 Almost certainly purchasing the rv is most likely going to be the biggest rv expense you will have. There are many types of RVs, and they come in many different price ranges. The good news is there is one to suit every budget and lifestyle. Choosing a new model or older and in good condition, rving will be a most enjoyable experience as long as the proper planning is done from the start. We also recommend taking a “course” and watching tutorials on rvs, checking Facebook for groups to join for support and expertise, Twitter for thousands of fellow rv’ers to follow and learn from. Example: https://www.youtube.com/user/rved101 maintenance and road safety, so that you are as prepared as you can be when you hit the road. We also recommend renting a variety of rv’s to find out what suits you best, before you purchase. and another: http://www.roamingtimes.com/2016/09/18/more-best-vehicles-to-tow-behind-a-motorhomerv/ and our archives of previously reviewed older models all still popular and re-selling from owners and dealers. Workamping and arranging ahead part-time or full-time jobs can sustain you on your travels. Indefinitely. You can plan ahead to have jobs lined up in the parks or campgrounds you want to stay in, so that you can fund your travels without dipping into savings. Travel to places you’d love to be at longer than a few days or weeks, and you can stay for longer as well, by working the days or hours you need to cover expenses. Many campgrounds, National Parks, and the company Amazon for example, can use your resources during peak or off-season times. Consider if you can working by telecommuting. Blogging your travels, or even unrelated to travel, but not needing a stationary office to go to, will free you up for personal choices of locations with a self-sustaining lifestyle. Do some research if this sounds like a good way to fund your traveling.